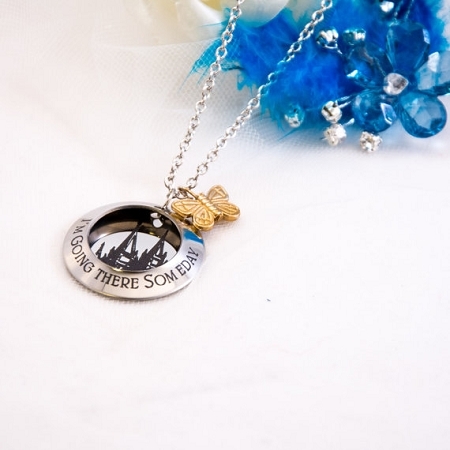 Personalized Temple Necklace with Charm and Quote. Stainless Steel outside ring concave to help the back circle pop. The words I'm going there someday, or whatever phrase you would like complete the outside ring. On the back round is a graphic of the SLC temple, or request one, and a name. This necklace is smaller than my family tree one so it makes a dainty necklace for a younger girl. The outside ring is 1.25 inches and the inside circle is 5/8 inch. 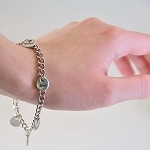 This comes with a 16, 18, or 20 inch chain as specified above. If you would like an extension to increase the length please convo me and I will set you up a link for 25 cents an inch.Also there is a butterfly charm that has been gold leafed if you would like it.I love customizing so if you have an idea for another quote please let me know!What we need from you:Enter the following in the comment field during checkout (Message to Seller box)1. The phrase on the outside ring if different than pictured.2. 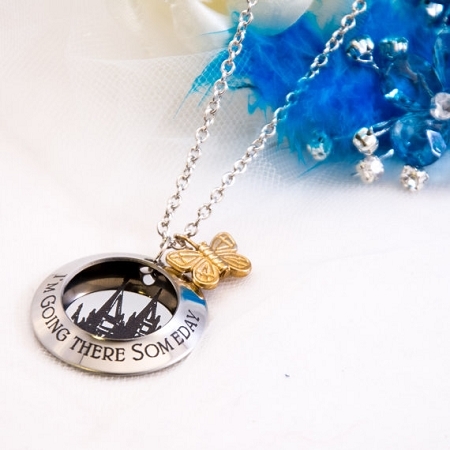 The name of the person you would like on the necklace.3. 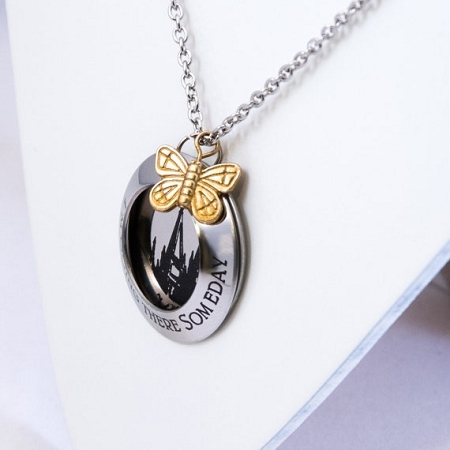 Yes or no to butterfly charm.Looking for that special gift for someone? 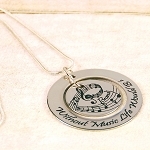 Our personalized jewelry are laser engraved pieces customized by you. https://www.etsy.com/shop/carenslaserOur jewelry is perfect for:Every occasion and every life eventEveryone, including yourselfCaren's Laser Guarantee:ƒ?› Excellent customer serviceƒ?› Superb quality and craftsmanshipƒ?› Unique personalized jewelryƒ?› Beautiful packaging for easy gift givingPLEASE NOTE: Our personalized custom charms, bracelets and necklaces are specialty lasered. Thus, each piece will be unique and you should expect variations from the photos. No two pieces will be alike. The photo is just an example.